A surgery at Beth Israel Deaconess Medical Center. The world’s largest surgeons’ organization has issued its first-ever guidelines for surgeons managing simultaneous operations, saying the controversial practice is broadly permissible, within limits, but that “the patient needs to be informed” whenever a doctor runs more than one operating room at a time. Such notice to patients is not now routine or required at many hospitals. The new standards from the American College of Surgeons, issued Wednesday, also aim to bar surgeons from handling cases in which the “critical or key” parts of surgeries overlap. “A primary attending surgeon’s involvement in concurrent or simultaneous surgeries on two different patients in two different rooms is not appropriate,” the guidelines state. That standard largely reiterates what is already prohibited under Medicare billing rules — a fact swiftly noted by some who had hoped for more forceful action — but was seen by one member of the group that drafted the guidelines as a vital reminder to surgeons. So, too, was the emphasis on providing notice to patients when their surgeons are juggling overlapping cases. Federal prosecutors have subpoenaed 10 years of internal records from Mass. General Hospital in an investigation into surgeons running two operating rooms at once. The new standards were issued six months after a Spotlight Team report on overlapping surgeries at Massachusetts General Hospital, where the practice had triggered sharp complaints by some members of the medical staff that the practice was unsafe and too often conducted without the knowledge of the patient. The hospital said surgeons were “encouraged and expected” to discuss with their patients if they are going to be absent for part of a procedure but are not required to do so. Mass. General otherwise rejected the staff complaints as unfounded and stoutly defended its surgical practices. ACS standards are not legally binding on surgeons or hospitals but tend to have enormous influence as a definition of best professional practices. 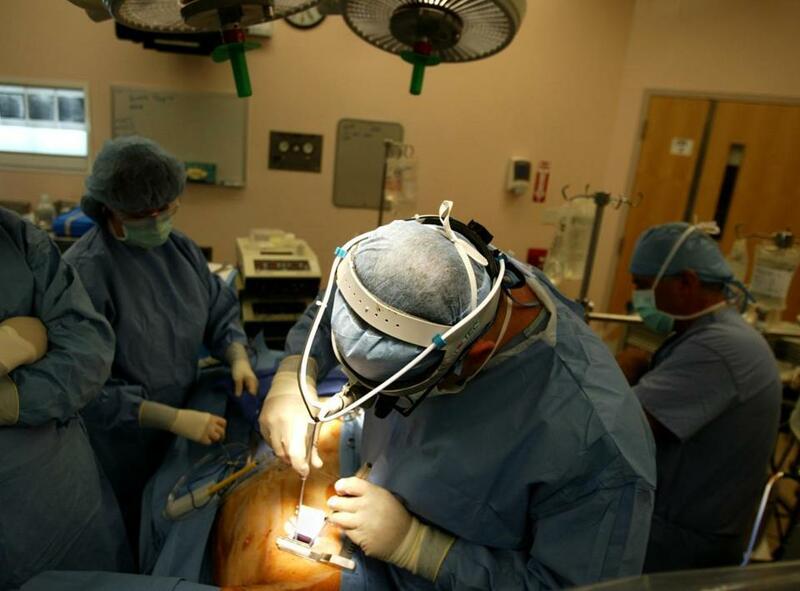 The new concurrent surgery guidelines were welcomed by some observers and by MGH. But the ACS standards also drew rebukes from some critics who say they will do little, if anything, to curb a practice that some surgeons, anesthesiologists, and patient advocates consider dangerous and unethical. In recent months, double-booking of surgeries has come under increasing scrutiny by federal and state regulators, prosecutors, and lawmakers. The Spotlight report in October revealed that medical staffers at Mass. General complained about at least 44 alleged problems involving concurrent surgeries between 2005 and 2015, including cases of patient complications; cases in which surgeons did not show up for operations, leaving the surgery to a resident or fellow; and cases in which surgeons were out of the room attending to another patient when an urgent need arose. MGH disputed the importance or validity of almost every allegation and said internal studies found no significant differences in complication rates between overlapping and nonoverlapping cases. A Globe survey of 47 hospitals nationwide late last year found it is common for surgeons to start a second operation before the first is complete and that few hospitals call on doctors to explicitly tell patients when their operations are double-booked. Some surgeons, however, contended the new standards leave too much discretion to surgeons and do not go any further than Medicare rules, which the federal government adopted largely for billing purposes. Like Medicare regulations, the ACS guidelines allow doctors to define the critical parts of the operation when they must be present. They also permit surgeons to overlap the critical part of one operation with the noncritical part of another as long as a second qualified surgeon can act as a backup if something goes wrong in the room that the attending has left. Dr. Dennis Burke, a top orthopedic surgeon at MGH who led the fight against double-booking there, said he was deeply disappointed in the new guidelines. “They do nothing to promote patient safety but rather are a total capitulation to professional self-interest,” said Burke, who now operates at Beth Israel Deaconess Hospital in Milton. Burke was dismissed by MGH in August after he shared medical records with the Globe from which identifying patient information had been redacted. Also unimpressed with the new standards was Senator Charles Grassley of Iowa, a Republican member of the Finance Committee. The requirement of notice to patients, however, drew a positive response from a patient whose story was featured in the Spotlight Team’s report. Tony Meng, a Westwood father of two who emerged paralyzed from an 11-hour spine operation at MGH in 2012 that overlapped with another spine surgery by the same doctor for seven hours, welcomed the ACS requirement that patients be informed beforehand that operations will overlap. “That’s a no-brainer,’’ said Meng, 45, who said he had no idea his surgeon, Dr. Kirkham Wood, was running two rooms at the same time. Meng has filed a malpractice suit against Wood, who left MGH in November to become a professor of orthopedic surgery at Stanford University. He has denied any wrongdoing in court filings. 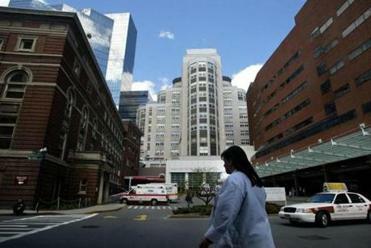 MGH, which is under investigation by state and federal prosecutors, has previously described overlapping operations as an extension of the teaching hospital’s team approach, pairing senior doctors with residents — surgical trainees — and fellows, who have finished their general orthopedic surgery residency and are training in a subspecialty. Surgeons at Mass. General are expected to discuss with the patient the plan for the surgery and potential risks, though there is no requirement that patients be told their surgeon is overseeing two cases at once. Dr. Candace Lapidus Sloane, chairwoman of the Massachusetts Board of Registration in Medicine, praised the ACS for issuing guidelines. “The fact that the College of Surgeons is doing this underlines what a critical issue this is,’’ she said. The guidelines, she said, appear to complement requirements that the board approved in January and forwarded to the state Department of Public Health, in response to the Globe’s reports. Under those rules, surgeons would have to document each time they enter and leave the operating room, just as nurses often do. The medical board also approved a requirement that the primary surgeon identify the backup doctor who would assume responsibility if the first surgeon is going to leave the operating room. Those regulations need the approval of several state agencies before they could go into effect.